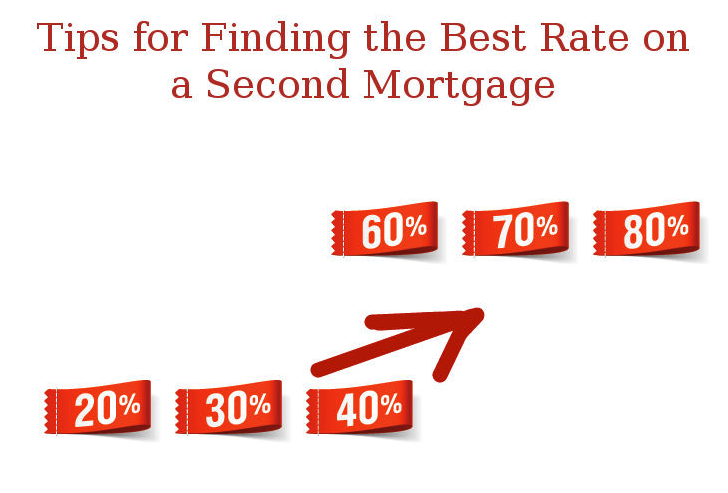 A second mortgage tends to have an interest rate that’s higher than the original mortgage. This is because your home has been securitized already by the first loan. Furthermore, there are several fees to pay. Before considering the costs, know that there are different products available for your financing needs. A second mortgage is available as lines of credit, through trusts, and private lenders. Equity loans and HELOCs are usually available for those with good credit and a sizable amount of the principal paid, such as 20% of the equity. The loan itself is a lump sum payment given at the start of the lending period. A HELOC is a line of credit, which is similar to a credit card. There is a ceiling to the amount that can be borrowed. Repayment is either a balloon lump sum or loan amortization. You should ask for full disclosure of bank charges before committing to a loan. Basis points: expressing percentages as a greater number. A 3 percent rate is 300 basis points. The term APR can refer to two separate calculations. A nominal APR is simple interest rate. The effective APR is a compound interest rate. So a lower effective APR can actually cost more than a higher nominal rate. Ask the lender’s representative specifically which one they have advertised. Since the line of credit is a single payment, the interest is fixed. A HELOC on the other hand can be variable or fixed. If variable, interest is tied to the prime lending rate of the business. In addition, lenders usually charge a margin, which adds to your interest rate. Sometimes HELOCs can start as fixed and at a stated date in the future switch to a variable calculation. Furthermore, to compete for customers, banks, trusts, and other financial lenders may offer an introductory rate. After the initial period has passed, the rate increases. Lenders aren’t always clear on how margins are calculated. Most take into account loan-to-value or the combined loan-to-value ratio, the equity on your home, the value of the home, income and credit score. The key to finding a good rate is determining the margin while you’re shopping. Banks and other lenders may not disclose that information at all. Some will provide ranges. Request that the margin be calculated before you proceed to sign anything. For businesses that won’t disclose that information to you, steer clear. You do not want to be locked into a contract with a non-reputable lender who may charge exorbitant fees, risking your home and your credit. The basic loan-to-value ratio is determined by using the value of the loan over the appraisal of your home. The combined ratio aggregates all mortgages on the home. The higher the ratio, the greater the risk. In turn, the larger the percentage, the more banks will charge. Shop around. Search online for your options because different companies will have different rates available, and enquire with the company who holds your primary mortgage. In addition, keep detailed notes on fees, teaser rates, and most importantly, interest and margins. When comparing APRs, try to state all rates in either nominal or effective rates. This ensures that you’re not comparing apples to oranges. Choose a time when market prices are favourable. Considering the loan-to-value looks at the price of the home rather than the original principal of the primary mortgage, a house whose price has appreciated significantly over the years will work in your favour when you apply for a mortgage renewal. Talk to someone about your credit score. You may be able to document some of the life changes that has affected your ability to repay in the past. Furthermore, you should request for a copy of your score. Occasionally, mistakes will be made by those with access to your credit. Rectify the negatives immediately by talking to a financial expert. Current employment and job history will affect how companies see you. Your ability to support yourself and repay expenses incurred can convince lenders to give more favourable rates. About the author: The author of the article is Jeremy Benson. He has been writing about finance, mortgage and Canadian law since 7 years. Blogging is one among his greatest passions. Follow him on Twitter @jeremybenson19.